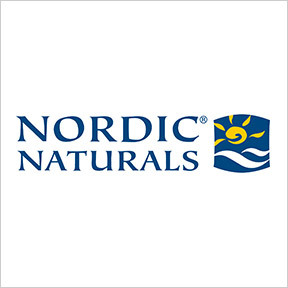 Nordic Berries is a multivitamin which supports growth and development during the early years. Nordic folklore says at twilight trolls gather cloudberries found along the banks of the fjord waters. Rich in vitamins, minerals, and antioxidants, cloudberries have a delicious sweet and sour citrus taste. Kids Complete is a food compound vitamin specifically designed to ensure that children receive all of the vitamins, minerals and a broad range of nourishing whole foods necessary for optimal health and development. 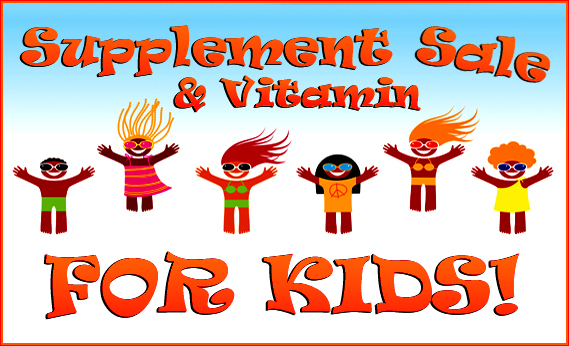 Sweet Kid® is a specially formulated supplement with a unique blend of organic wheat grass juice powder, green foods, probiotics and more than 100 essential vitamins and nutrients. Kid’s Complete Multi Powder is a complete formula designed to fulfill the needs of small children and developed using a synergistic blend of FoodState whole food nutrients and biologically active forms of vitamins and minerals. Good nutrition helps prevent illness and disease and is essential to healthy physical and mental development. The American Academy of Pediatrics encourages parents to think of nutritional decisions as health decisions. Nearly 1 in 3 children in America are now overweight or obese. And like adults, kids who consistently overeat are at risk for developing the medical problems associated with being overweight, including high blood pressure, high cholesterol, type 2 diabetes, bone and joint problems, breathing and sleeping problems, and even depression. Later in life they are at greater risk for heart disease, heart failure, and stroke. Encouraging your child to make beneficial food choices now will help them develop wholesome eating patterns that can lead to a lifetime of healthier choices. Have regular family meals. Eating together allows parents and kids to reconnect and catch up on the day’s events. Kids who sit down to family meals are more likely to eat fruits, vegetables and grains and are less likely to snack on unhealthy foods. Serve a variety of healthy foods and snacks. You control the supply lines, so stock up on fruits, vegetables and healthy snacks such as low-fat yogurt and cheese, whole grain crackers, or nuts. Limit chips, cookies, candy and sugary drinks but don’t ban them completely. Serve them occasionally as a special treat. Be a role model by eating healthy yourself. Keep a positive approach to food, limit your own portions and don’t overindulge in less nutritious foods. Kids will follow your lead. Avoid food battles which means no bargaining or bribing kids to eat everything on their plate. Provide variety and let your child choose from what you offer. A growing child’s eating pattern will vary day to day. Let them decide when they are hungry and when they are full. Involve kids in the process. Kids love to help in the kitchen so select age appropriate tasks for them to do. Let them be involved in occasional meal planning and help them make decisions about what to pack for lunch. Vitamin A – Vitamin A boosts the immune system which fights common infections. Vitamin A promotes general eye health plus color and night vision. Make sure your child gets plenty of orange vegetables and fortified milk. B Vitamins – B complex vitamins are needed for anemia prevention and for energy production and usage. B vitamins are found in whole grains, fish, chicken, leafy greens, dairy and meat. Vitamin C – Vitamin C helps speed healing of cuts and scrapes and helps ward off colds and fight infections. Fruits, especially oranges, and green leafy vegetables are good sources of vitamin C.
Vitamin D – Vitamin D is needed for calcium absorption for developing strong bones and teeth. Foods fortified with vitamin D include milk, cereal and eggs. Calcium – Calcium helps build strong bones and teeth and can help reduce the chances of developing age related bone disease. The majority of our lifetime bone mass is built during our pre-teen and teen years. Low-fat dairy is the best source of calcium in a child’s diet and includes cheese, milk and yogurt. Fortified cereals and orange juice are options for those who are lactose intolerant. Choline – An important essential nutrient needed for the central nervous system function and cell growth. Eggs, fish, meat, broccoli and chicken are good sources. Iron – For healthy red blood cells that carry oxygen to all parts of the body and help keep kids energized. Iron can be found in fortified foods, beans and lean red meats. Magnesium – Important for energy and healthy heart function. Look for magnesium in cereals, brown rice and nuts. Potassium – Kids need potassium to support their organs and cells. Potassium maintains blood pressure, supports the heart and muscle function. Bananas and low-fat dairy are good sources. Zinc – Zinc helps fight viruses and supports the immune system. Zinc is necessary for growth and development. Look for zinc in chicken, beans and fortified cereals. Fiber – Kids need fiber to aid digestion and prevent constipation. Offer lots of fruits and vegetables and whole grains including high-fiber cereals. Water – Limit sugar laden fruit juices to breakfast time and give your child the choice of milk or water at other times. Be sure to provide plenty of water throughout the day and encourage your child to drink up. Antioxidants – Antioxidants help defend against harmful substances that can damage healthy cells. Almonds, berries, citrus fruits and carrots are some kid friendly foods high in antioxidants. Essential fatty acids – Children require both EPA and DHA omega-3 fatty acids as part of their healthy diet, especially for brain development and eye function. If your child refuses to eat fish regularly or at all, supplements made for children containing EPA/DHA are a safe, effective way to give your child’s mental and physical well-being a boost. It’s best not to get into a battle of wills at mealtimes. Try to make breakfast and lunch the priority meals as young children are often tired and less likely to eat well at dinnertime. Offer a variety of healthy foods and allow your child to be in charge of choosing which items to eat and how much. Children allowed to make their own decisions at mealtimes are more likely to enjoy their meal and feel good about themselves. You can feel good also, knowing that you are raising a healthy eater and establishing patterns that will lead to a lifetime of healthy nutrition. Springboard SuperNutes by Ortho Molecular – Super Nutrients Jr. is a great tasting strawberry-kiwi multivitamin and mineral supplement containing the most important vitamin and mineral components needed for a growing child. Besides having a solid scientific formulation of the highest quality professional-grade vitamins, SuperNutes also contains generous doses of industry leading Albion® minerals, setting SuperNutes in a class by itself when compared with other children’s multivitamins. ProOmega Junior Minis by Nordic Naturals – Perfect for ages three and older, these provide the essential fatty acid nutrition for optimal development. Children find the tiny, pearl-sized soft gels easy to chew, and they enjoy the great-tasting, all-natural strawberry flavor. With EPA and DHA from purified deep sea fish oil. Vital Kids Berry Well Immune Support by Vital Nutrients – Berry Well is a uniquely concentrated botanical extract formula containing Elderberry Extract. This formula provides enhanced levels of natural compounds that provide immune system support. Studies have shown that the properties of Elderberry Extract and Arabinogalactan maintain healthy immune function and promote well-being. Multigenics Chewable Orange by Metagenics – Multigenics chewable is a high quality multiple vitamin and mineral supplement with excellent nutrient bioavailability designed especially for children. This formula provides an essential, comprehensive foundation for optimal health and contains highly absorbable amino acid chelates, ratio-balanced B vitamins, and broad-spectrum antioxidant protection. Super Immune Space Sprinkles by Douglas Laboratories – This product provides support for normal immune function with a specially formulated blend of probiotics in a naturally sweet base. Super Immune Space Sprinkles change color when sprinkled on food and are designed specifically for children. Nordic Omega-3 Fishies by Nordic Naturals – These easy to chew treats are rich in EPA and DHA for development support of the brain, eyes and the nervous and immune systems. Delicious tangerine taste for even the pickiest of eaters. For ages 2 and over. Nutri-West Chewable C-500 – A pleasant tasting tablet ideal for children or for anyone looking for rapid absorption of Vitamin C. Each naturally flavored tablet supplies 500 mg of Vitamin C (as sodium ascorbate and ascorbic acid) , 1,000 units of natural beta carotene, citrus bioflavonoids, hesperidin complex, rutin, and acerola. 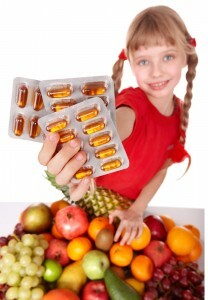 Little One by Metabolic Maintenance – A one-per-day multivitamin for children 6 through 12 years of age. Each capsule contains only the finest ingredients, in the most bioavailable forms, in a very small, easy to swallow capsule.